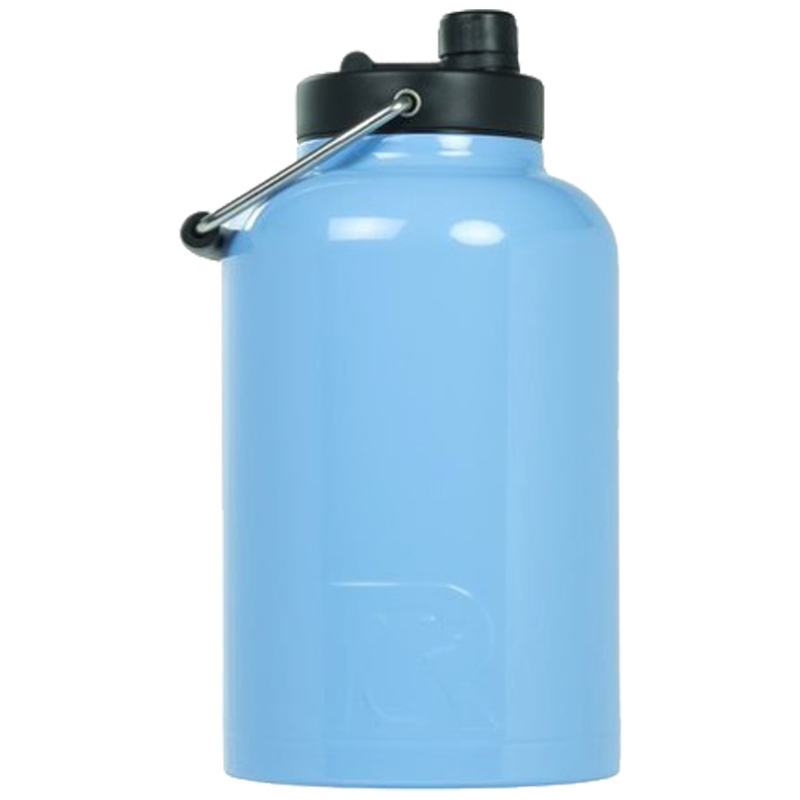 RTIC One Gallon Carolina Blue Stainless Steel Jug. Double wall vacuum insulated. Comes individually boxed. Keeps iced drinks cold longer. Holds ice for up to 24 hours. Works great for hot beverages too. Laser Engraved leaving an elegant, stainless steel show-through imprint color. Easy to clean. One of the highest quality bottles on the market.